Make Helsinki has been working as a development and marketing partner for Orion Pharma Animal Health since 2012; building mobile apps, web services, and helping them with their digital marketing. Orion is one of the best-known companies for veterinary medicines in the Nordic countries. Orion Pharma Animal Health has developed animal sedatives, vitamins, and other such as products for dog noise anxiety. In recent years, Orion Pharma Animal Health has also increasingly invested in digital services and marketing. Make Helsinki has been helping Orion with Animal Health digital products and marketing since 2012. Orion Pharma Animal Health has multiple sedatives for different animals. When administering sedatives, it’s always crucial to give the correct amount of sedative for a certain animal. To help with this situation, we developed multiple dosage calculators for Orion’s sedatives, which allows to calculate precisely the correct dosages. Calculators have been very successful, ranging from responsive web calculators, offline calculators distributed on memory sticks, to mobile applications. Feedback from vets have been very positive and we have continued working to bring more dosage calculators and new platforms available, in order to support the vet’s important work. 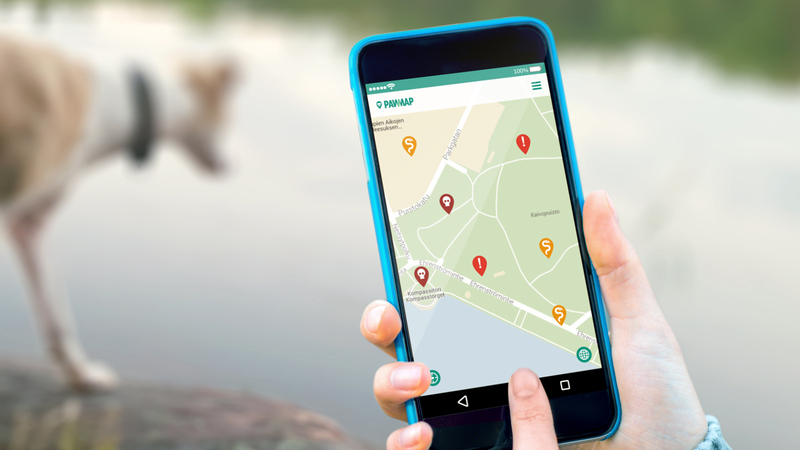 Paw Map is a free application for dog owners to warn them about dangers, and to share their favorite places to visit. The project was completely developed by Make Helsinki in three months from the initial idea during spring 2015. We worked together on the branding with Orion’s marketing team, designed the UX (user experience) and UI (user interface) for the application, and developed the native application for iPhone and Android, as well as the required backend systems. We have also been involved with digital marketing of the app. The reception has been great, and thousands of markers have been added by the community. Several Finnish media have written articles about Paw Map. There are 20 000 application downloads so far, and the user base continues to grow steadily, as we continue to build new features to the application. The very popular, non-medicinal Aptus well-being product range of Orion consists of vitamins, minerals and other feed supplements for dogs and cats. 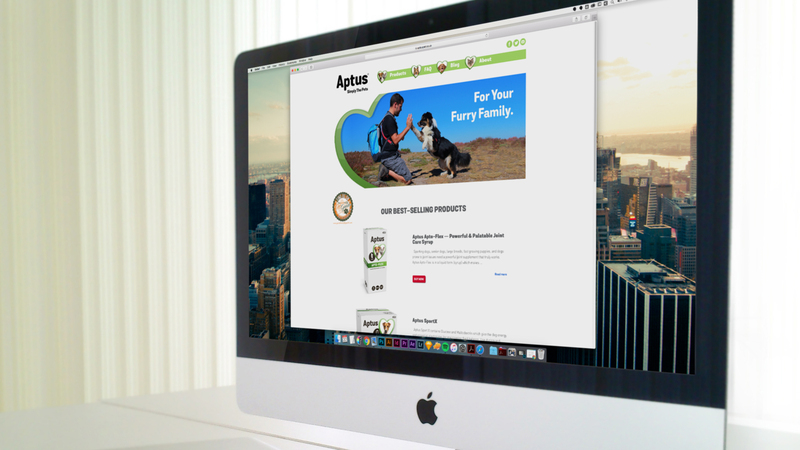 The range includes products for your pet’s general health, digestion, skin, fur and oral hygiene. 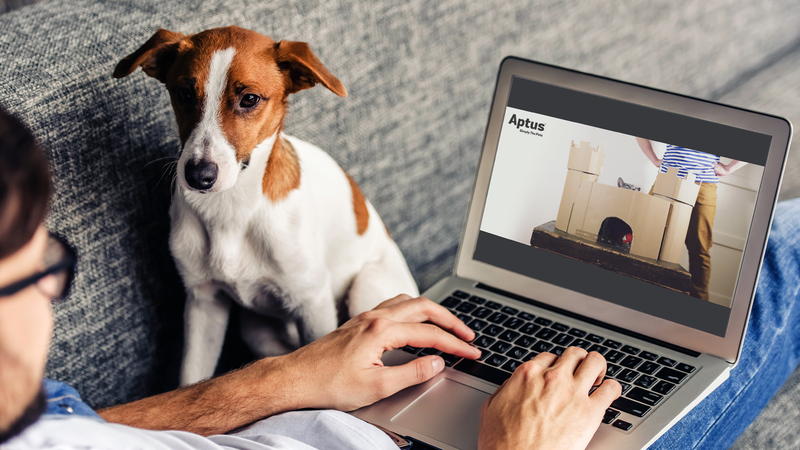 Make Helsinki has worked with Orion Pharma Animal Health to build Aptus product- and campaign websites, digital marketing materials and campaigns, 3D modeling products, creating videos for social media, and more. We continue to work almost daily with different smaller and bigger projects related to Aptus brand products, and help Orion to grow their market share in and outside of Finland. Sileo is a prescription medicine decreasing anxiety and fear in dogs. Orion Pharma Animal Health needed supporting digital services for Sileo which Make Helsinki has been working several years with. We have built services for public websites, sites and tools for vets ,and even tests to check the level of anxiety in dogs. Our work also included dosage calculator and 3D modelling of the product. We have also taken care of digital marketing activities and we continue to support the team in both areas. All in all, the co-operation with Orion Pharma Animal health is growing and we aim to help Orion to serve pet owners and vets better and better every day.